This article by the Asian Correspondent features key themes and top results from the Hinrich Foundation Sustainable Trade Index 2018. Read more. Asian economies have broadly regressed in terms of trade sustainability, reports the Global Trade Review. The article, which features key findings from Read more. The findings from the Hinrich Foundation Sustainable Trade Index 2018 are featured in this article by the Singapore Business Review. Read more. 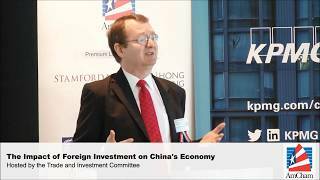 The Hinrich Foundation hosted a panel on US-China trade relations at the East-West Center International Media Conference in Singapore on Read more. 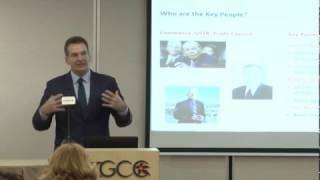 Hinrich Foundation Research Fellow Stephen Olson addressed the Hong Kong General Chamber of Commerce (HKGCC) on February 23, 2017. Olson offered insights on the potential impact of U.S. President Donald Trump’s policies on U.S. trade relations to a room filled with HKGCC members and guests.